I bought this device a couple of years ago when I decided I wanted to venture into getting a digital mixer for my synth station. I figured I would start with this as a one channel fader to see how it handles. The product itself is well designed and offers a lot of features at a relatively low price and a small package. 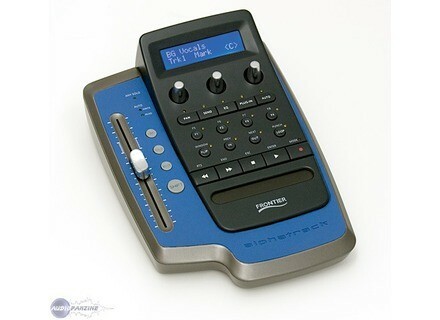 You get one motorized, touch sensitive fader that responds very well to actions in your DAW. There is an LED readout that lets you know what you have selected in your DAW, so that you can gauge at a glance exactly what it is you are controlling. There are general transport buttons and a jog strip on the main body of this unit. I believe it works with a MIDI protocol, but it connects with a simple USB cable to your computer. Also on this item is a button to mute, solo, and arm for recording your selected track which can be handy if you have a large screen and have to do a lot of mousing around. In addition to the nice fader, you have three panpots which are touch sensitive. These spin indefinitely, so when you switch their functionality to different parameters in your DAW you don't have to worry about resetting it back to the default position. Overall I did not find this product to work very well for me, but I think that is because I am very used to quickly mousing around on my DAW. If someone were to start using this from the beginning while starting with digital audio, I imagine you could learn to use it very effectively. It's a good product with great features, it just wasn't really for me. At $200 or less, it's definitely a good value if you can get used to using it in the first place. I wouldn't get it again, but I wouldn't discourage anyone from trying it out. Cutboost's review (This content has been automatically translated from French)" Easy, practical"
Along fader a little noise. A small area, lots of features. horloge's review (This content has been automatically translated from French)" it works very well"
Unlike many negative opinions I've read, this controller works fine under win xp with protools cubase 5 and 8. I use it for 6 months without problems. The value price is right. The slider is a little noise, but it disengages and runs very well, it is nice to handle. I do not regret my choice from the FaderPort. As I said above, this is my 3rd day of work with this little device and I can not DJ without it! It's really a pleasure to finally have the knobs and faders in Cubase SX 3 fingers. The scroll is sensitive and can be very practical prcis unlike some advice. I bought 222 Musicstore in Cologne. The Fader him silent port 149 for this reason that I really hsiter. I find it a bit expensive but the diffrence between the two well-justified. Here are my impressions APRS a ten day test. For CHARACTERISTICS, I refer Previous notice. The ergonomics are well thought out, the case, although any plastic, is very well finished and nicely design. The touch of the fader is enjoyable trs. - The sensor strip which serves wheel "jog / shuttle" is also used as imprcise our laptop touchpads. - If the engine does not rev s'avre noisy, however the buttons operate dclanche a "click" enough to record all the automation on an audio track if you open a microphone in the same pi what AlphaTrack! - The LCD goes into oscillation ds that one knob activates a "sensitive" from the page initially and the value of the knob: illegible. 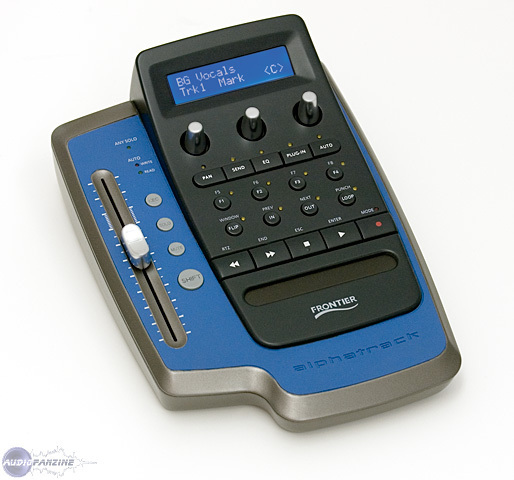 - The size of the BTE is suprieur FaderPort of the Presonus, which makes it less portable. Too bad because the exclusive power from the USB port is a joy. Since I'm in comparison with the FaderPort (I have not tried but with whom I have great hsit), I stayed on my hunger to the extent that I had abandoned the FaderPort and portability in favor of three knobs, an LCD display and a jog / shuttle use impractical in the end. Next comes the intgration surface CONTRL prfrs with our software. On reading the opinion prcdant and instructions concerning the intgration AlphaTrack in Sonar, the coupling appears to be perfect and rvle the full potential of the BTE. But the time or the j'cris online, users of Cubase are far less gts. Several "bugs" or gaps in the driver's potential rduisent AlphaTrack. In short, the driver himself for cubase operates under the scope of the AlphaTrack. It is likely that updates (I test the 1.0.0.2) will come quickly, dveloppeurs Submitted on Frontier Design Forum are keen to do evolve. The update of drivers in version 1.04 amliore significantly intgration with Cubase.